AIR OPTIX NIGHT & DAY AQUA Contact Lenses FDA approved for 30 day night continuous wear. 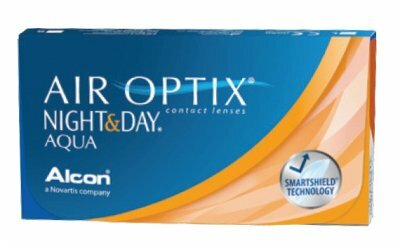 AIR OPTIX NIGHT & DAY™ are the contact lenses you can wear continuously for up to 30 nights and days. Up to 30 days of continuous, natural vision means complete day-to-day freedom – no daily insertion and removal, no cleaning and no lens care product expense. These contact lenses feel less dry than ordinary soft contact lenses and they provide sharp, clear vision any time of the day or night. Convenient vision correction that fits with your busy lifestyle Stop the never-ending routine of removing and cleaning lenses. Now you can wake up and go to sleep with the freedom of Air Optix NIGHT & DAY™ lenses. Approved wearing schedule: 30 Day Extended Wear. Monthly Replacement.